Pruning is the most common tree maintenance procedure. Although forest trees grow quite well with only nature’s pruning, landscape trees require a higher level of care to maintain their safety and aesthetics. Tree pruning and trimming should be done with an understanding of how the tree responds to each cut. 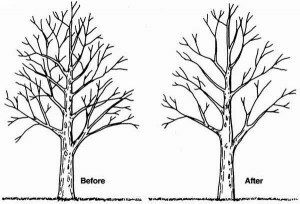 Improper tree trimming or pruning can cause damage that will last for the life of the tree, or worse, shorten the tree’s life. At Tree Tech all pruning is completed to ANSI A300 specifications. 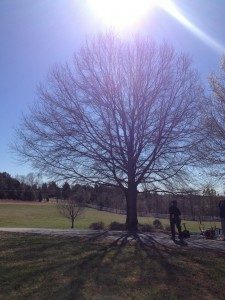 Health of the Tree – It is sometimes possible to save an infected tree by strategically pruning away affected branches and limbs. Thinning the crown of a tree improves airflow, which can be very beneficial. If branches are crossing or rubbing together, they should be trimmed so that they don’t fall unexpectedly.